Just a sample of what’s on the shelves! Have you ever wondered what’s on the bookshelves in the A.S.P.E.N. library? A.S.P.E.N. has an exclusive new member benefit just for you! Members can borrow up to three titles at once. Pay only shipping to and from our Library and get access to more than 600 titles in 53 areas, including clinical nutrition, metabolism, disease, practice resources, and more! 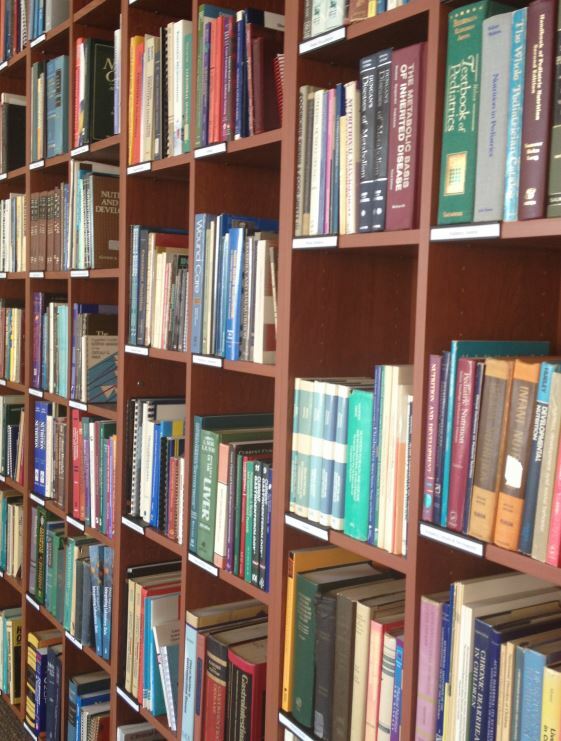 The newly organized library looks great; just have a look! Requesting a book from our catalog is easy. Just call Jennifer Kuhn, Assistant Managing Editor, at 301-920-9150. Have your credit card handy!